Prospect North, part of the Scottish Pavilion at the Venice Architecture Biennale, has made its mark on festival-goers who have donned surreal unicorn, moose and polar bear masks to transport themselves from Italy to the Highlands..
Each animal head hides a set of virtual reality goggles which transport the wearer to the past, present and future of the Highlands from the clearances through to today’s inward migration and possible re-population in the future. Elsewhere a three dimensional map handcrafted from timber outlines an expanded Nordic region with 3d visualisations and films triggered by viewers who scan the map with their mobile phones and tablets. The exhibition seeks to show how under population can be overcome through a fresh renewable energy push, high speed broadband and transport and a diplomatic drive to expand trade routes. 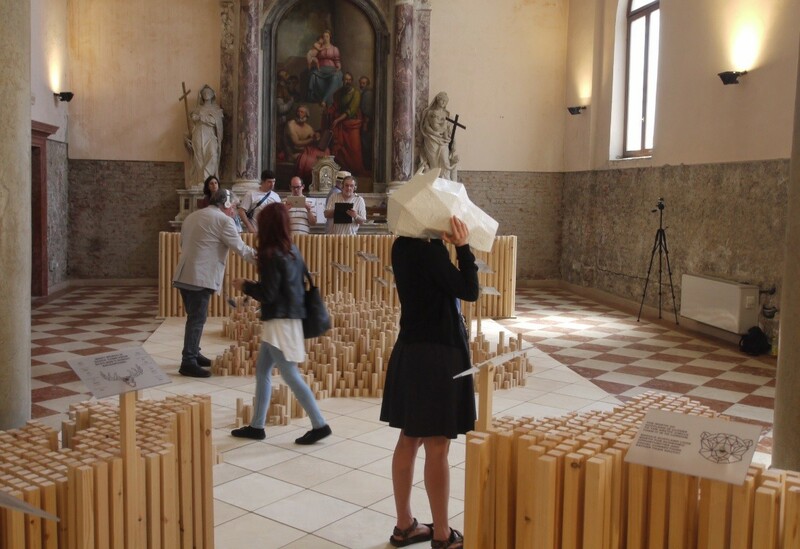 The Prospect North exhibition will run through to 25 June at Ludoteca Santa Maria Ausiliatrice in Venice. Looks great, well done to all involved. Especially to Graham & Tom at lateral North, good to see they have followed through on the ideas from their Atlas. Is the exhibition coming to Scotland after or is it only in Venice? "So; people in the Scotland, they like-a-the acid yes?" I just don't 'get' the Biennale. Seems like a love-in for academics. 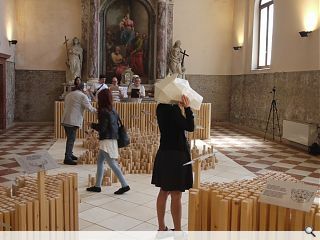 @4 Clive - have you ever actually been to the Biennale? I also haven't seen anything that grabs me as worth a visit, either.